Rovio announces Angry Birds Star Wars II for Android, iOS and Windows Phone devices. 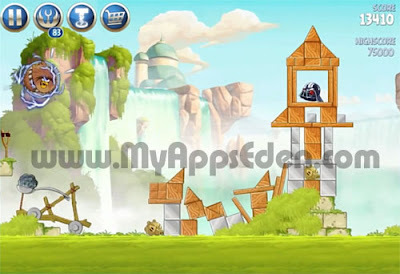 Angry Birds Star Wars II will feature bird and pig versions of over 30 characters from the Star Wars universe. The game will be out on September 19th, and it will be available as an universal app on Android, iOS and Windows Phone 8 for $0.99 (USD). There will also be a free ad-supported version available on Google Play. ﻿The new characters are not the only exciting thing about Angry Birds Star Wars II. For the first time ever you can "Join the Pork Side" and play as the piggies in an Angry Birds game. And if that isn't magical enough, Rovio teamed up with Hasbro to bring you Angry Birds Star Wars TELEPODS – so you can teleport physical Angry Birds Star Wars figures into your game to make it even more awesome!